This is a stunning new piece of jewellery. 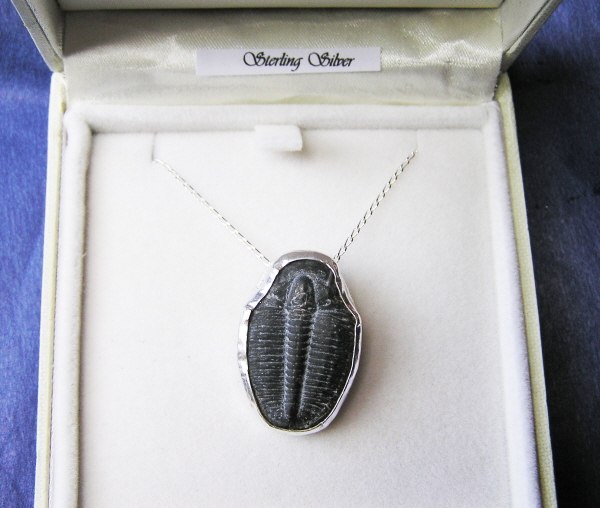 It is made with a whole fossil Trilobite ( measuring 2cm top to bottom), set into silver and strung from an 18 inch sterling silver chain. 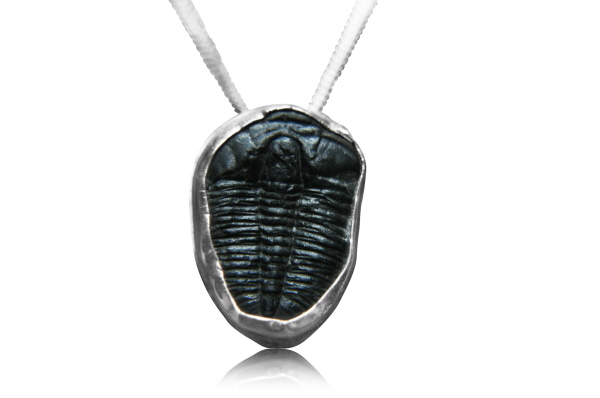 The Trilobite is an Elrathia kingii which lived in the seas 550 Million years ago. Trilobites are one of the very first true animals on Earth and were also one of the most successful, surviving in a myriad of species for 350 Million years. This particular one is from the Cambrian era which is one of the first geological eras. Boxed and labelled and complete with a detailed information sheet.